The Mauritian Food Gastronomy is translated proof of the rich diversity of its culture. We have inherited flavours from around the continent and made it into our own, from fine cuisine, rustic home cooked food to street food. If you have visited Mauritius you will certainly relate to this and if you intend to visit the beautiful island then believe me you will not be disappointed when it comes to cultures and cuisine. I often get asked, what is Mauritian food? I guess because Mauritius is such a popular destination we assume everyone know about its food. The Mauritian street food like in most countries has to be in my opinion the kind of food that reflects a country. And today we are not going too far fetch, as I want to share a favourite of most Mauritians and visitors to our beautiful Island – and in one guess many will shout out “gateau piment”. 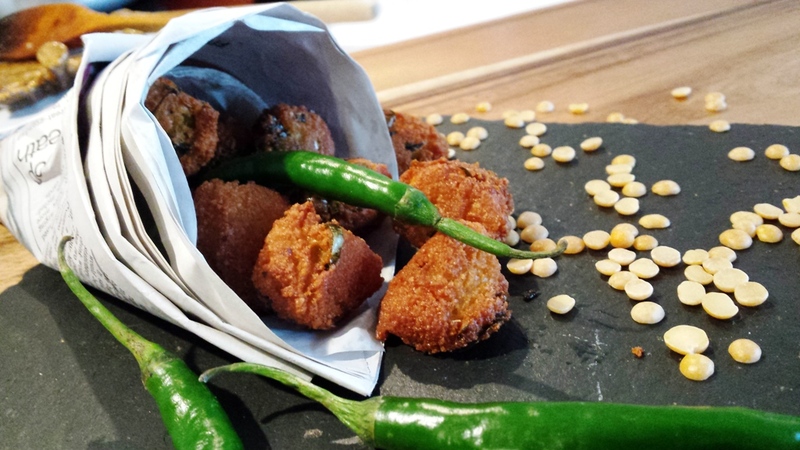 Gateau Piment or Mauritian Dal Fritters are a very easy snack recipe. It is probably one of the most popular snacks (or street food) in Mauritius. These beautiful little fritters crispy on the outside soft on the inside and as you bite in with a touch of two kinds of heat – one from the chillies and one from the heat. I can even do this mouth gesture while I write – that goes ho-ho-ho while I bite in because these cakes are eaten as soon as they come out of the frying pan. Many people wonder why these cakes are called “gateaux piments”, simply translated into “chilli cakes”. One would expect to find a big chilli fritter. Well these are made with chana dhall and added to it chillies and herbs. It’s as simple as that, so one would ask, what’s all the fuss about? But us Mauritians we love our “gateau piments” and the “sold out” sign tend to be a very common thing when it comes to these cakes. We like to eat them with bread and butter which makes a lovely breakfast, lunch or mid-afternoon snack with a nice cup to tea. 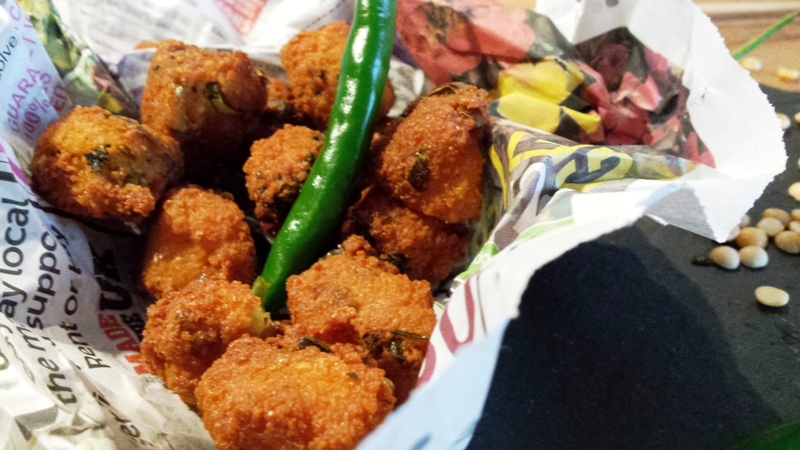 These small, tasty fritters are beautiful just like Mauritius. They are a real symbol of simplicity, yet beautiful and delicious and I could not think of a better recipe blog to share on the occasion of Mauritius Independence/Republic Day. “Gateau piment” are such delights, most “marchant gateau piments” will have a queue of people waiting to buy these hot golden jewels. This is not an uncommon site where there is hot gateau piment being fried and the smell of these fritters can travel a long way. Therefore as we say, just follow your nose to get to your nearest “marchant gateaux piment”. Liked and enjoyed in most Mauritian household. 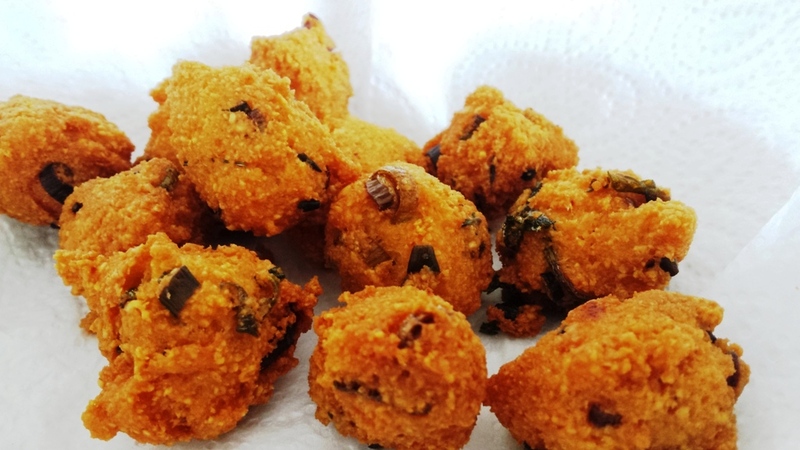 I felt like sharing this recipe with you because just like many Mauritian food and I would call these a real delicacy in the Mauritian Cuisine. 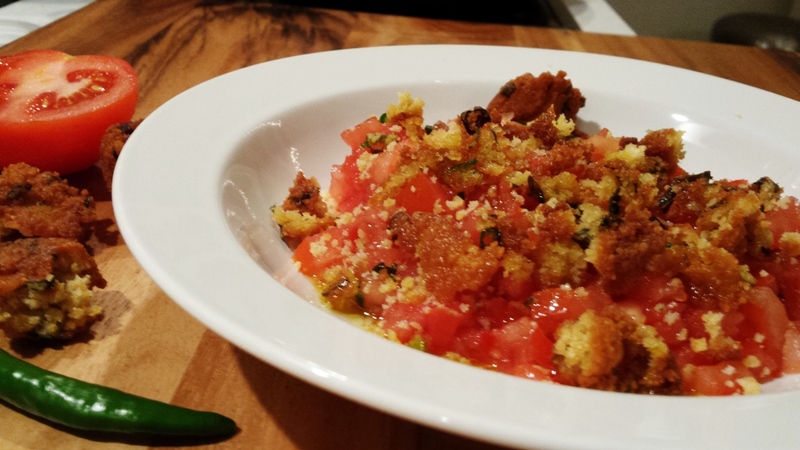 “Gateau piment” can also be used in several other way, any leftover you can keep in a container and add them to a tomato salsa (salad gateau piment), as seen below. 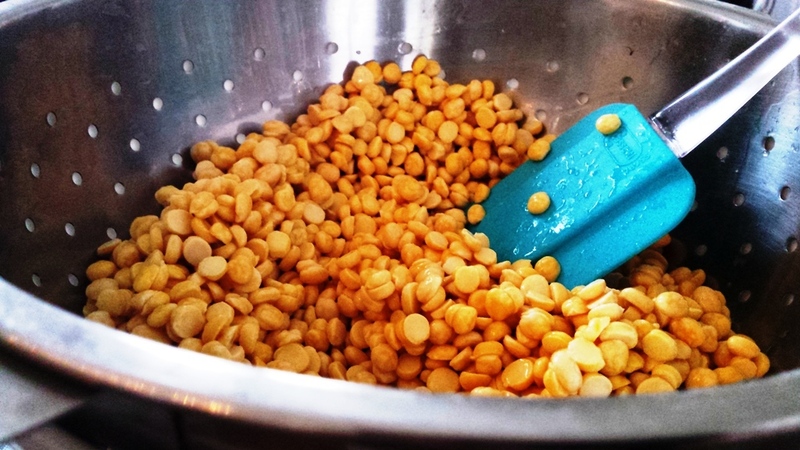 Rinse and wash the dhal. Leave to soak in a bowl of cold water, preferably overnight. The next day, drain the soaked dhall in a colander. Once well drained, divide the dhal in three parts. 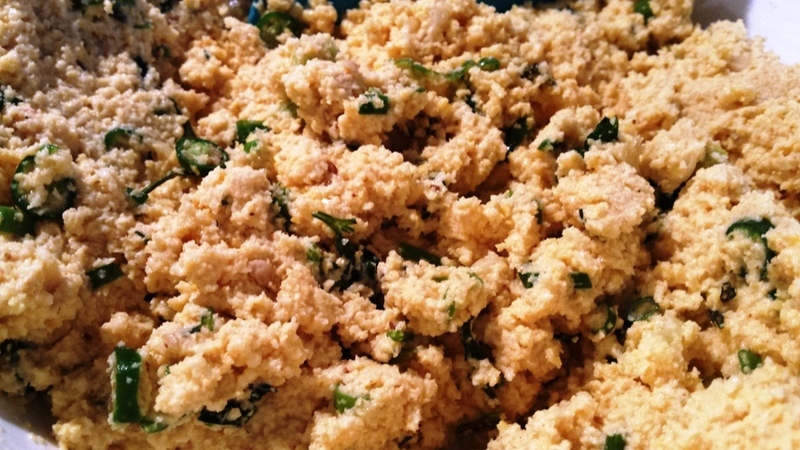 Place one portion in a food processor, blend to a coarse texture, remove and set aside. 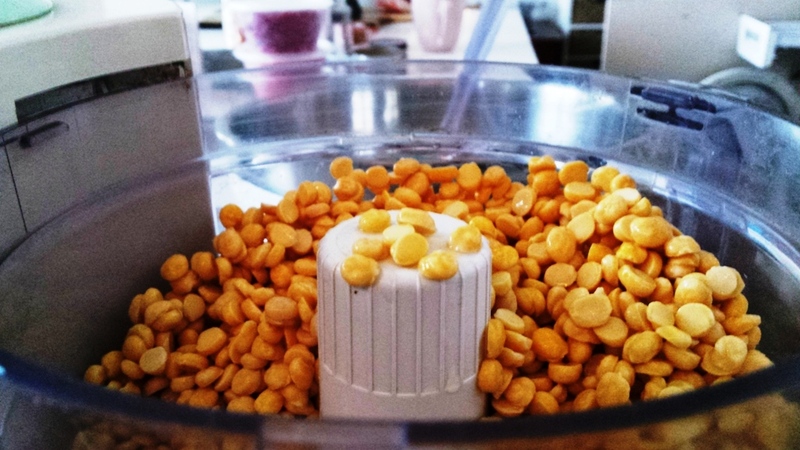 Blend the second portion now this time to a softer texture, remove from blender add the first batch of ground dhal. Take the third portion blend to a smooth texture add a little of water if needed so you get a rather smoother soft texture paste. By grinding the dhal into three different textures will give you a very crispy, crunchy cake but yet soft on the inside. Mix all together. Add the rest of the ingredients and mix well. Taste for seasoning and as necessary. Heat oil in a deep-frying pan. 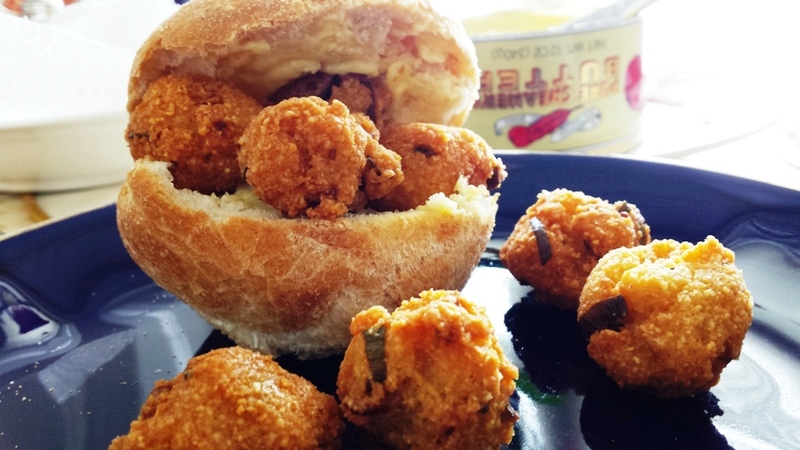 Make small uneven balls and deep fry the “gateaux piment” in batches until golden brown. (Remember the oil has to be at the right temperature, if too hot it will burn the cakes leaving a rather soggy inside. If the oil is not hot enough the cakes will quickly absorb a lot of oil making them quite oily and greasy cake). Remove the “gateaux piments” drain them on kitchen paper. Serve hot. Or if you fancy with bread and butter. 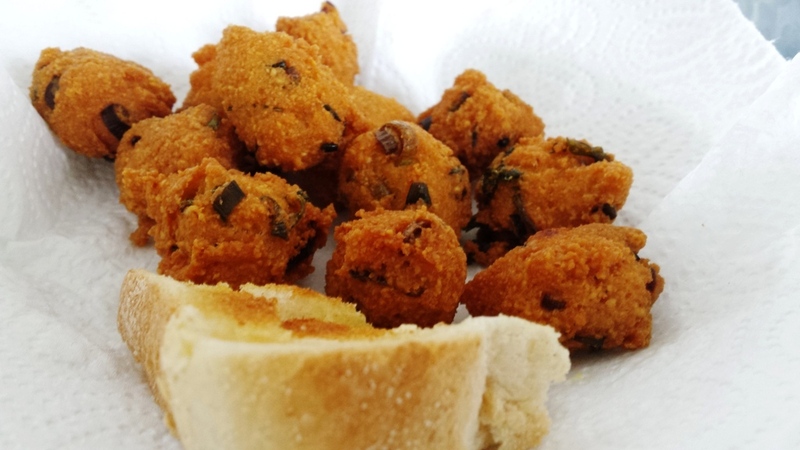 Brinda’s Note: These make a lovely vegetarian snack at parties or even for a morning or afternoon snack – Mauritian Style.